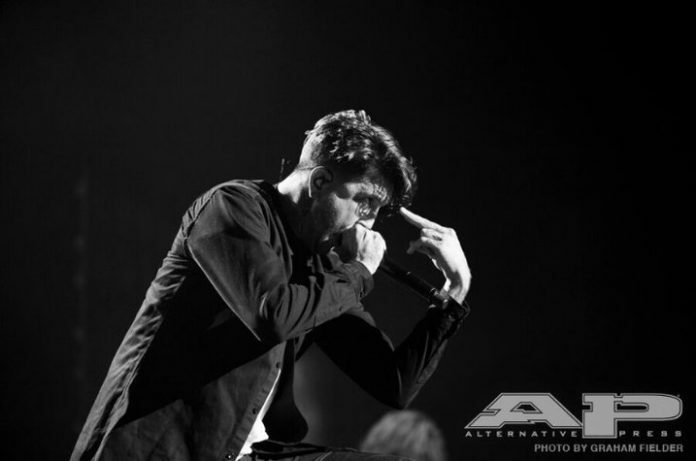 Austin Carlile has resurfaced after another health battle with his Marfan Syndrome to give a tearful speech about his struggles. During his first public appearance since leaving Of Mice & Men, Carlile appeared before the audience with a walking cane. Carlile recently underwent surgery in Costa Rica to treat cysts growing on his spine, then flew back to the States to continue treatment. We are wishing him the best in his recovery and continued health battles.